Many eMTBs are designed for comfort rather than fun, although the components and long travel suspension are more than capable enough. Not the GHOST HybRide SL AMR X S7.7+ LC! The GHOST HybRide SL AMR X is a machine for ambitious and aggressive riders in the market for a powerful eMTB for demanding tracks. The light carbon frame is a feast for the eyes, helping to bring the weight of the bike to a total of only 21.2 kg, despite the burly spec. With its mixed wheel sizes and coil shock, the GHOST HybRide SL AMR X doesn’t flinch at the roughest of trails, though it demands an active riding style and good riding technique. 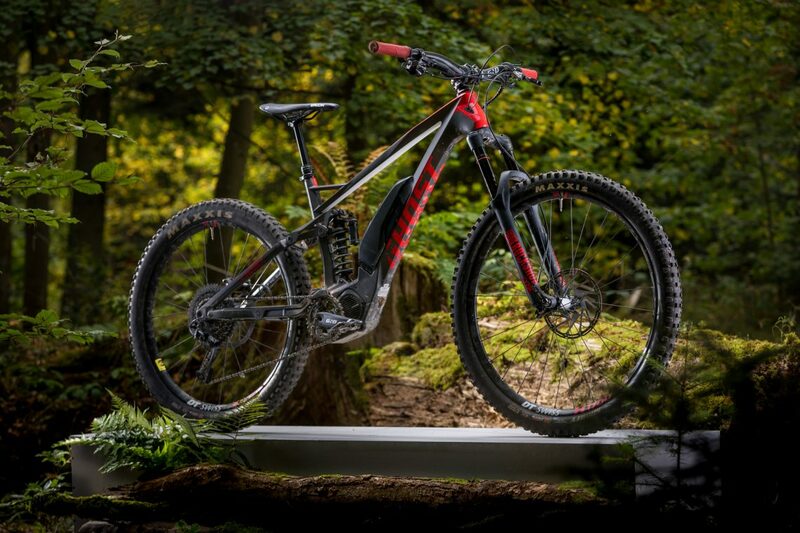 This carefully considered concept provides for outstanding handling in rough terrain – advanced eMTB riders are sure to get their money’s worth!